Standard Films spans the globe this past winter documenting insane snowboarding in the gnarliest mountain ranges to Catch the Vapors. Witness the Standard Crew descend huge mountain peaks, drop endless pillows lines, boost huge backcountry kickers, slay unique urban features and throw down on custom resort parks. 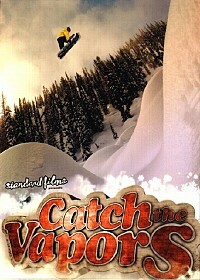 Catch the Vapors is the progression of All Terrain Freestyle, and Backcountry Snowboarding! intro Skream Tortured Soul Skream! Lonnie Kauk Skream Rutten Skream!